Apom is an Indian breakfast made from rice flour and eaten with orange sugar. Mix all ingredients to obtain a smooth batter. Whip the batter thoroughly to enclose air. Heat a small wok and grease it over with a knotted pandan leaves. Immediately tilt the wok in all directions to coat sides thoroughly and form thin crispy edge and a thick fluffy center. As soon as the center is cooked, remove with a flat ladle. Serve them while hot with curry. If sugar and eggs are added, it can be eaten plain. 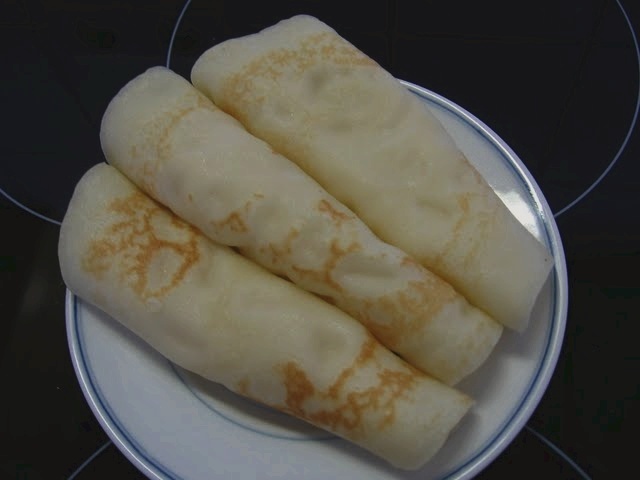 Hey thanks a lot for sharing this recipe, i was sharing for this Apam recipe. I’ll definitely try this on sunday. Recently i even found an ‘India food network cooking channel’, this is awesome & helpful must check.